Jackson: "There's quite a number of willing sellers out there." 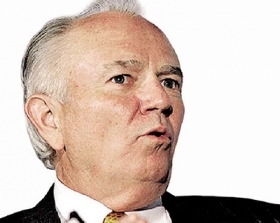 AutoNation Inc. is poised to make its second huge acquisition deal of 2015. The nation’s largest new-car retailer is negotiating to buy Allen Samuels Auto Group based in Waco, Texas, a person familiar with the transaction said. The deal is expected to be signed and announced this week, said the source. Allen Samuels was ranked 79th on the Automotive News list of the Top 150 dealership groups in the U.S. The group reported revenue of nearly $735 million for 2014. It’s unclear how many stores are included in the likely purchase. Allen Samuels is heavy on domestic brands, particularly Chrysler-Dodge-Jeep-Ram stores. According to the company’s website, it also has Chevrolet and Hyundai dealerships and a Mercedes-Benz store. The Waco Tribune-Herald first reported the potential deal late Saturday. According to the report, Allen Samuels himself individually owns two dealerships not included in the deal. Ted Teague, general manager of one of those dealerships -- a Dodge Chrysler Jeep Ram store in Waco -- confirmed the buyout plans to the newspaper. “It is my understanding it has been announced to employees of the dealerships involved,” Teague told the newspaper. He added that due dilligence is under way and the parties expect to close the deal by January. An AutoNation spokesman declined Sunday to comment. Allen Samuels officials could not be reached off-hours for comment Sunday. A message was left seeking comment. Should the deal be finalized, it will cap what’s become a major acquisition year for AutoNation. The retailer’s announced deals for 2015 already represent an estimated $929 million in added annual revenue. That’s its biggest total since 1999 and double last year's pace. AutoNation's 2014 purchases had combined annual revenue of $450 million. In August, AutoNation announced two deals that showed it was getting into smaller markets and picking up major business with Fiat Chrysler Automobiles brands. It agreed to buy 13 stores in Georgia, Alabama and Tennessee from Carl Gregory Enterprises and three stores near Baltimore from Valley Motors Automotive Group. Those 16 stores represent more than $600 million in estimated annual revenue and were to bring AutoNation's U.S. store count to 253. At that time, AutoNation CEO Mike Jackson called the overall acquisition environment "quite positive" and hinted at more deals.